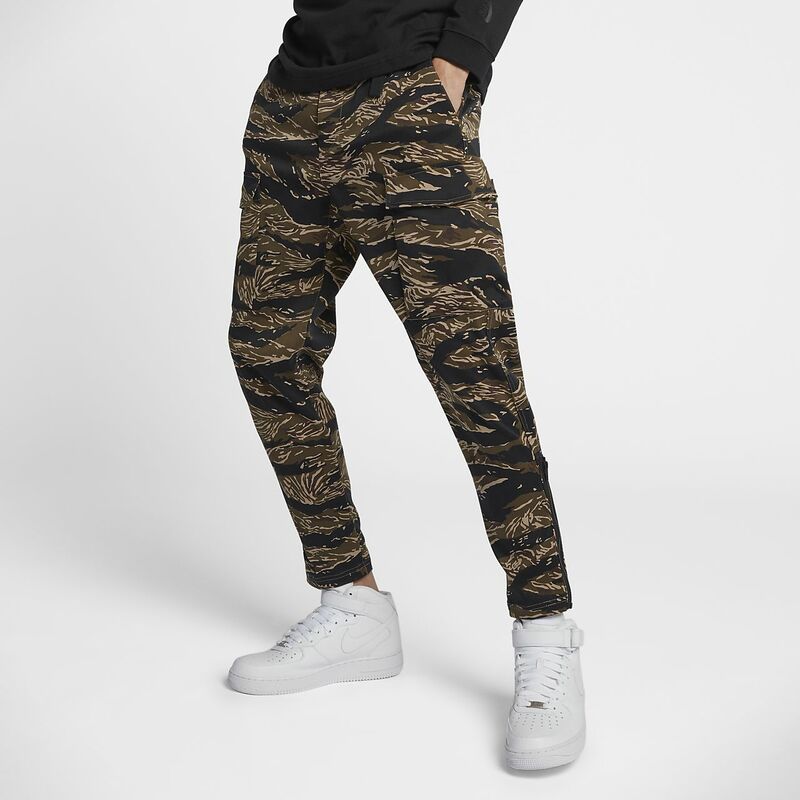 The NikeLab Essentials Tiger Camo Men's Trousers offer a striking look with a signature NikeLab printed pattern. The NikeLab Essentials Tiger Camo Men&apos;s Trousers offer a striking look with a signature NikeLab printed pattern. Durable woven fabric sturdy-yet-soft to help you feel protected and comfortable. Side pockets, two back pockets and snap cargo pockets offer plenty of storage. Quick-release zips at the hem let you customise your look. Have your say. Be the first to review the NikeLab Essentials Tiger Camo.